Stop Reset Go (www.stopresetgo.org), the Cape Town Science Centre (www.ctsc.org.za), together with concerned organisations, business leaders, and design shapers are organising A CITIZEN BASED EVENT – one where we can come together to share information, develop new technologies, ask the important questions and find and share DIY solutions that work for us! 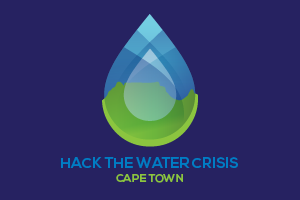 Cost: R25 per person (reduced entry fee for the event) for all participants (hackers, visitors, exhibitors, everybody!) – DONATIONS WELCOME – The Cape Town Science Centre is a registered non-profit organisation (031-701-NPO) and Public Benefit Organisation (18/11/13/2663). All funds received directly support educational programmes and exhibits. We value and encourage your support. 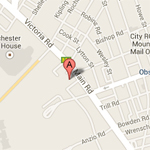 • Please note that on Sunday, 25 February the Hack day will coincide with the OPEN STREETS DAY (www.openstreets.org.za). Therefore, parking will not be available on the Main Road. Visitors are encouraged to seek alternative parking arrangements or walk to the Cape Town Science Centre. • PARKING – Parking will be available in the parking area behind the Cape Town Science Centre. The parking is managed independently and will be charged for by the Groote Schuur Parking Management – Cost: R6 per hour or R30 for the full day. A Hack/Hackathon is a form of problem solving. People come together virtually, over the web and in person, to engage in creative discussion to solve real world problems. It emerged from the computer industry although today its usage is far broader. As Wikipedia puts it ‘The word hackathon is a portmanteau of the words hack and marathon, where hack is used in the sense of playful, exploratory programming, not its alternate meaning as a reference to computer crime.’ – Wikipedia. The Cape Town Science Centre (CTSC) is a registered Non-Profit and Public Benefit organisation, established in 2000 with a Mission to make a hands-on contribution to South Africa’s future by strengthening its science and technology culture through interactive methods of teaching: to excite the youth of and public about science, and offer educational services to learners and educators across South Africa. The Cape Town Science Centre (CTSC) strives to continue providing opportunities to support the formal education system and the increasingly-essential learning that takes place outside of the classroom. These opportunities that the Science Centre provides not only support the focused learning taking place at schools but encourage a love for life-long learning and a scientifically knowledgeable society. This is an essential investment in our communities and ultimately South Africa to help us face the challenges of today such as scarce skills, a struggling school system, a rapidly advancing technological age and challenges that have science central to their solution such as food scarcity, energy shortages, climate change and others. Entry fees to the Cape Town Science Centre are subsidized by various donors that support the Mission of the centre. The Cape Town Science Centre values and encourages the support of the communities they serve. To become a donor please contact the Director, Julie Cleverdon on julie@ctsc.org.za or call 083 276 9501.